The most recent, also measuring 2.4, happened at 9:40 p.m. It was located about 3.7 miles northwest of Rangely about 3.7 miles deep. Earlier this week, an earthquake measuring 3.8 occurred southwest of Trinidad. It was followed later in the day by a 2.5 quake. So far this year, Colorado has experienced 36 earthquakes measuring 1.5 or greater on the Richter Scale, including one just south of the Colorado-New Mexico Border. Most have been located in western Colorado, including a swarm of 15 1.5 or greater quakes that happened in January near Snowmass Village in Colorado's mountains. Thursday's quakes bring the count to six in the Rangely area since late April. 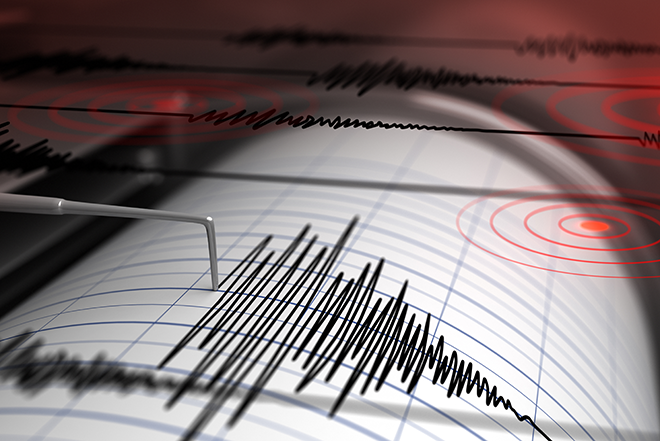 Southeast Idaho has been struck by more than 300 earthquakes over the past two weeks.